Welcome to the online home of RE/MAX Southern Shores, the Grand Strand's only real estate firm to employ only full time, career-minded, real estate professionals! RE/MAX Southern Shores was founded in 1988 and continues to dominate the Grand Strand market with a focus on helping agents master the basics of real estate sales and outstanding client service. RE/MAX offers a highly proficient and specialized team of directors that empower agents to be more proactive and efficient. The team also offers endless support to the agents while extending community relations, customer service and extreme detail to every transaction to ensure a successful, on-time closing for client satisfaction. Since 2012, RE/MAX Southern Shores has been the real estate sales leader in Horry and Georgetown counties, closing over $430 million in sales in 2017. CEO Mandy Fulford opened RE/MAX Southern Lifestyles in May 2007. Since then, the company has grown to four offices, a support staff of accounting, marketing and office professionals, and over 125 real estate agents. RE/MAX Southern Shores proudly services all property types including luxury homes, commercial real estate, new homes, investment purchases and property management through its affiliate Stay & Play Myrtle Beach. As a native South Carolinian, I fondly remember summers at the beach with my family. I am a graduate of Coastal Carolina University and a 25-year resident of the Myrtle Beach area. Clients enjoy working with me because of my strong work ethic and impeccable professionalism. Having lived in many corners of the Grand Strand, I have a genuine understanding of the growing coastline and its many personalities. This knowledge, as well as my motivation to stay current on local real estate trends, helps my clients make educated decisions. Considering myself a representative of Myrtle Beach, I enjoy introducing my clients to the many unique qualities of the beach. Having served the public as an Elementary School teacher for twelve years, I bring the organization and attention to detail necessary to get the job done. Whether a seller looking to market and move your home quickly or buyer searching for that home of your dreams, serving your best interests with honesty and integrity is my priority. I look forward to helping make your Real Estate dreams a reality. Give me a call today! I am originally from a small town in North Central Kansas. My husband and I chose to make Myrtle Beach our home in 1986, where we went on to raise our three daughters. It is hard to believe that was over 30 years ago. Time sure flies when your having fun and you love where you live! You need someone, like me, who knows this area inside and out! I can work with you to find the right home, at the right price, including all the neighborhood amenities that matter to you - not to mention the essential criteria you have for your ideal home. Oftentimes buyers don't envision living in your home the way you do. I can make your home attractive to its ideal audience - which can help you get top dollar. Things like staging the home, making repairs or minor improvements, or even simply painting the walls can be the difference between a home resting on the market and one that's sold fast. Broker Associate with Over 19 Years Experience helping clients with properties in Surfside Beach, Garden City, Murrells Inlet and the South Strand area! My approach to real estate mirrors my approach to life...listen, learn, be helpful, and be the best that I possibly can! To me, the most important part of a real estate transaction is the client I am working for. I strive to help families find what they are looking for at a price they can afford. Whether you are searching for a first home, vacation getaway, or want to sell your property, rest assured that I will do my personal best for you. When I am not helping folks find their "place at the beach," I can be found in the yard with my dogs, cats, and fancy birds. “Thank you so much for stepping in & helping us out. We are so thankful for all your hard work in getting things done." “Everything was wonderful- a great experience. Cheryl is knowledgeable and easy to work with." Originally from Columbus, Ohio, Christine has called Myrtle Beach home since moving to the area in 1982. Christine began her career as a full-time realtor in 1993 with Century 21 Seacoast in Surfside Beach before joining RE/MAX in 2005. She has won many awards for being a top producing agent and for giving outstanding service to the buyers and sellers she worked with over the past 25 years. 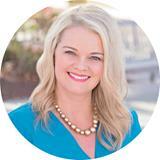 Christine strives to give her clients the most professional representation and best service possible. Christine services the entire Grand Strand area, so if your looking to buy or sell property, call her today! A trusted real estate guide to ensure you win during your entire real estate process Mitigate distractions, landmines and challenges Utilize advanced business skills such as teamwork, marketing and negotiations Committed to you Protect your interests Provide a delightful ongoing client experience Whether you're ready to buy/sell immediately, become well informed on the real estate market or simply planning for your future, contact me today to schedule an initial conversation to define your real estate vision, goals and timeline. Faith & stewardship Business and leadership experience A loyal commitment to each client relationship Investing resources in top-tier mentors and consultants A proactive and assertive approach to complete each goal Client referral program With this experience and a passion for excellence, I initially entered the real estate industry as a real estate developer/investor and quickly realized real estate was a natural fit for my high energy, business goals and long term vision. Ever since, my primary focus, energy and resources have been invested in real estate. Marissa and I now live and work in the local Myrtle Beach area with our five children. As an active family, we enjoy activities ranging from hiking and beach life to travel and sports. I look forward to hearing your life story, vision and goals! Even from our initial time together, you'll quickly come to realize my established business systems will define, implement and deliver the ideal real estate solution for you. Contact me today and let's schedule our initial discovery consult. Since the beginning in 2001, I have provided excellent service to my valued clients and fellow real estate agents in North and South Carolina. I have the knowledge and resources to accomplish any given need or task from assisting with the purchase of a beach front home, to a condo on the golf course.Effective technology skills keep me connected to out-of-town clients by providing timely data about properties that match their criteria by email. Once I start communications with my clients they never leave. My goal is to make this a pleasant experience for all. I welcome your business.Need help finding your dream home? Just tell me what you are looking for and I will search all my sources and provide you with a convenient report of all the properties that you may be interested in complete with photographs of the properties and detailed neighborhood information.Thinking about selling your home? We have a proven track record selling real estate throughout . We listen carefully to understand your goals and guide you through the entire process of selling your property from listing to sale.Professional Distinctions awarded by RE/MAX International: Don has achieved a level of sales and service and has been a RE/MAX Hall of Fame Member since 2014. Delivering Excellence in Real Estate. I am native of Rhode Island and love it here. Working with RE/MAX Southern Shores, the current #1 Real Estate company in Myrtle Beach and surrounding areas, I give my clients more than an open and close transaction. I served 4 years in the 82nd Airborne Division as a Recon Scout with the Blue Devils in Baggy Pants prior to being a realtor. Today, I specialize in residential and oceanfront investments by Delivering Excellence, which is exactly what my clients receive during the purchase or sale of their home or investment. I am different from other real estate agents. With 15 years experience in the local real estate market, I find inventive and innovative ways of helping you close your transaction with your best interest at the foundation. I have a lot of experience on the Grand Strand and surrounding coastal communities making me an essential part of wise buying and selling here. More than anything, my clients are my business and mean a lot to me. I have many awards such as 2004 Re/Max Presidents Club; 2005 Re/Max Executive Club; 2006 Received the Broker Designation; RE/MAX 100% Club in 2015… and so on and so on, but the real reward is shaking your hand at the end of it all with a smile. You need someone who knows this area inside and out! I can work with you to find the right home at the right price for you, including all the neighborhood amenities that matter - not to mention the essential criteria you have for your ideal home! That's okay! With the tools provided to me by RE/MAX Southern Shores I can make this process as efficient and painless as possible! Hans Neugebauer lives in Surfside Beach SC with his wife and 3 children, and has been selling real estate for over 14 years. Consistently in the top 5% of all area agents, Hans has sold over 400 homes or condos. Hans attributes his success to his HONEST, HARD-WORKING, HANDS-ON approach to helping people with their real estate goals. He treats people how he would want to be treated. His knowledge, experience, and attention to detail are invaluable to his clients. Hans has reviews and testimonials on his website and on Zillow.com. Hans still holds an OH license and prior to moving to SC, was the #1 RE/MAX agent in the region. Welcome to the great state of SC!, Here in the Myrtle Beach area you can find a variety of lifestyle choices and price ranges to suit your budget. With SC low residential property taxes you can afford more house with your hard earned money! I have been involved in Real Estate for over 25 years, buying, selling and moving multiple times allowed me to experience the benefit of a Realtor who is on your side. I will communicate with you for however long it takes before you have a chance to come down for yourself to check out some of the homes you have been watching from afar. I can check them out for you and let you know if it is worth the trip to look. No need for you to talk to multiple Realtors about all the homes you are interested in, call me and I will set up the appointments and find the details and show them all to you. Once you narrow things down we will together discuss the pros and cons. Sometimes it only takes a few visits before the right house shows up. Other times a few years. If you live locally, wish to sell and find something different, I would be happy to help you out as well. I will spend the time it takes to help you navigate the selling and buying process. Give me a call, send me a text or an email and I will go to work for you. 843-712-9989! As an agent who's an expert in this local area, I bring a wealth of knowledge and expertise about buying and selling real estate here. It's not the same everywhere, so you need someone you can trust for up-to-date information. Originally from Reading, PA Jeremy moved to Myrtle Beach, SC in 1998 after graduating from high school. Shortly after moving to the area, he attended Coastal Carolina University where he graduated in Business Management with a special focus on resort tourism. 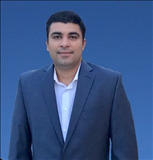 In 2001 Jeremy obtained his real estate license to assist his father’s top producing team in the Myrtle Beach area, while also working on his degree. From 2002 through 2009 they worked together to continually be one of the top producing real estate teams. However, after several years of success as a real estate agent, Jeremy then joined ActiveRain as a community builder in March 2009 to explore and conquer new challenges. ActiveRain was one of the world’s largest real estate networks which he helped grow to over 200,000 members worldwide. His success at ActiveRain helped him to then move on to pursue another dream as owner of his own company. In the beginning of 2010 he launched his own company, 210 Consulting- Social Media Advisors. The company began as an online consulting firm focused on helping real estate agents around the world learn the value of social media and online marketing, but quickly grew past that. Over the past four years, he has traveled all around the country teaching thousands how to use social media networks to increase their business as a social media speaker. He has he as worked with corporations like RE/MAX, Coldwell Banker, Keller Williams, Prudential, Century 21, and many independent brokerages. In addition, he’s had the privilege of sharing for many state and local associations, real estate conferences, and even the National Association of REALTORS®. In March 2014, after the sudden and rather unexpected passing of his Father, Jeremy fulfilled a promise to his father by taking back over his real estate business in Myrtle Beach, SC. He is focused on providing the same incredible service his father did as well as continuing on the traditional motto: “Your Satisfaction Is Our Reputation.” In addition to the high level of customer service, Jeremy is bringing all of his knowledge and expertise in online marketing to help assist both buyers and sellers in Myrtle Beach with an easy way to search Myrtle Beach Homes for sale. When you are buying or selling property in today’s Myrtle Beach real estate market, it’s important to have confidence in your real estate professional. His commitment as your REALTOR® is to provide you with the specialized real estate service you need and deserve. He is a full-time, full-service REALTOR® with experience as a local Myrtle Beach business owner, graduate of Coastal Carolina University. His recent experience as a community manager and speaker give him access to an online network of over 35,000 connections worldwide to help your property to get sold anywhere in the world. He specializes in Single Family Residences , Golf Course Communities, Oceanfront Properties in Myrtle Beach, and more. He is a Multi-Million Dollar Producer, and has been recognized as a top producing agent in both Listings & Sales in Myrtle Beach, SC. He welcomes the opportunity to assist you with all of your real estate needs in Myrtle Beach! When you are an informed buyer or seller, you´ll make the best decisions for the most important purchase or sale in your lifetime. That´s why his goal is to keep you informed on Myrtle Beach real estate trends in the marketplace using the latest Myrtle Beach real estate market reports. As a local area expert with knowledge of Myrtle Beach communities his objective is to work diligently to assist you in meeting your real estate goals. If you are considering buying or selling a home in Horry County or would just like to have additional information about real estate in the area, please do not hesitate to contact me. Thank you for visiting my website – please consider it as your online source for local Myrtle Beach real estate information, and return often for the latest property listing updates. Sometimes, Listening is enough... So I ask a lot of questions and I get a lot of answers. Your answers are my roadmap to finding exactly what you want. Your first and most important decision when buying or selling your property is choosing a Real Estate Agent. Hopefully, you will make the right choice--and I would like to be IT! After many years as an interior designer, I have chosen to put together my business knowledge with my appreciation for design and join the Real Estate profession. I am committed to Listening to your needs. That is why when you tell me your criteria and price range for your investment, you will not waste time looking at properties that do not fit your needs, wants, or budget. If you want a fair market value for your present property and someone who will put as much OR MORE effort into actually selling that property as they did trying to get the listing...here I am. And I look forward to meeting YOU. Grand Strand has been my home for over 21 years, although I am originally from Maine, when I think of home, I think of the Grand Strand. Before starting my Real Estate career, I assisted my husband with his construction and renovations business. This gave me hands-on experience in new construction as well as applying remodeling concepts to an existing home to suit the owner’s unique style. Whether you are a 1st time buyer, or looking to upgrade or downsize, or wanting to sell your home, I will be there for you throughout the process. My client's needs and interests are first and foremost and I always work hard at finding you exactly the property you are looking for. Welcome to my website! Thank you so much for your interest in Grand Strand Real Estate. Myrtle Beach is an exciting and vibrant place to own property and live. Whether you are a first time home buyer, a seasoned investor or someone looking to retire to the Grand Strand, I will assist you in the process. My personal experience in negotiating millions of dollars in contracts and delivering services will ensure you the best possible representation. My goals are your goals, but my number one goal is to exceed your expectations! Thanks for stopping by. Originally from Frederick, Maryland, I have lived in the Myrtle Beach area since 2004 and have been a Realtor since early 2005. I am a Viet Nam Era Air Force Veteran earning an Air Force Commendation Medal for my service during the LinebackerII operation in the Viet Nam war. I moved to this area from San Antonio, Texas after living there four years while working for a telecommunications industry company. We moved to Myrtle Beach to be near our daughters and because we’ve always wanted to be minutes from the beach! I enjoy the family, my 33 Ford Street Rod, and my Boxer, Max. I received my Accredited Buyer’s Representative designation, ABR, to enhance my ability to serve my clients in the purchase of their place here at the beach. I take pride in not being a salesperson selling you a home but, providing assistance, presenting opportunities, and properties to my clients, then helping them through and beyond closing on their home. Properties will sell themselves if they are the right one, it’s my job to make sure the buyer sees them and knows what they need to know about it!! Whether you are looking for a condo, town home, single family home, new construction or pre-owned, or building lots, I can assist you in your real estate pursuits here on the Grand Strand. The way Real Estate services should be! Originally from Orlando, FL, I moved to Myrtle Beach in 2005 and have never looked back. A real estate career brought me here, but my love for this area and it's people kept me here. I am a single mother of four (4) girls, grandmother of two, the daughter of a minister and the only sister to three brothers. My background, family, work ethic and morals have made me who I am today, which includes being a top real estate agent in the Myrtle Beach area. I treat my clients like family and search relentlessly to ensure each one gets their perfect home. Most importantly, I treat my clients like I want like to be treated; I don't try to sell them something they don't want, I respond personally and quickly, and ensure accuracy in every communication and transaction. As an agent who's an expert in this local area, I bring a wealth of knowledge and expertise to buying and selling real estate. You need someone who knows this area inside and out! Knows the area, the neighborhoods, amenities and, of course, the ability to find the home that YOU are looking for. When it's time to move, you need someone who will advertise your home, show to prospective buyers, negotiate the purchase contract, arrange financing, oversee the inspections, handle all necessary paperwork and supervise the closing. An agent that visualizes living in your home the way you do. I can make your home attractive to its ideal audience - which can help you get top dollar. Things like staging the home, making repairs or minor improvements, or even simply painting the walls can be the difference between a home resting on the market and one that's sold fast. I look forward to the opportunity of working with you in selling your current home and finding your dream home. My experience in the real estate market is diverse and extensive. I have had the good fortune of working in several different aspects of real estate. I was a real estate paralegal for more than 25 years. This experience allowed me to handle real estate transactions for both buyers and sellers on a wide variety of property types. Later, I began managing the closing department for a high volume new home builder. During 2006, my department closed over 1,200 new homes. I also coordinated the closings for a land developer in Myrtle Beach. These experiences have given me the knowledge and understanding about all aspects of a real estate transaction and how important honesty and integrity are. I have earned the ABR (Accredited Buyer Representative), SRES (Senior Real Estate Specialist) and RSPS (Resort & Second Home Property Specialist) designations and am highly trained as a Buyer’s Agent. I am also a CDPE (Certified Distressed Property Expert) and have earned the SFR (Short Sales & Foreclosure Resource) designation and my skills and training give me that edge required when negotiating short sales for my Seller clients! My customers and clients always come first and it is important that each one feels as though they are the ONLY one. If you allow me to assist you, this will be my commitment to you! 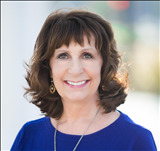 As a Realtor with the RE/MAX Southern Shores, Margaret specializes in oceanfront and resort properties along the Grand Strand. She is an ultimate professional, with a high level of energy, dedication and determination to get the job done. Growing up in Orlando, experiencing first hand the explosion of the city with the ground breaking of Disney World, little did she know her profession would be tied to the growth of another. 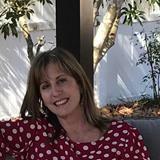 Margaret graduated from the University of Central Florida in Orlando with a BA in Journalism, specializing in Advertising and Public Relations and would utilize those skills in the publishing and printing industry before finding her passion in real estate. She spent the next 12 years in the country music tourism mecca of Nashville, TN, before her husband felt the call to return to his coastal roots and move back to the thriving Myrtle Beach area in1986. As a 7th generation Horry County native, Richard Singleton knew he wanted to raise his growing family where his roots run deep. They both quickly became fundamental members of the community donating countless hours of time in volunteering for schools, churches and board positions. Margaret's professionalism and work ethic have helped establish her reputation within the community and with other Realtors. "In order to provide the highest level of service, I make it a point to put my clients first. My clients always find me accessible, a good listener as well as a good communicator and extremely responsive to their needs. Being a top real estate professional require many qualities and skills; integrity, detailed community and marketing knowledge, effective negotiation skills and an expansive professional network, all are trademarks of how I run my business." When she is not busy helping her clients, Margaret enjoys playing tennis, cooking, traveling and spending time with her husband, Richard, who is the Director of Commercial Real Estate at RE/MAX Southern Shores. They are the proud parents of three grown children. Originally from Long Island, I come from a family of builders and contractors and know what it takes to get the job done right and be 110 percent dedicated. I understand all the different facets of Real Estate whether you are buying your dream home or looking to sell and move on to the next chapter in your life. I am a true “people person,” and one of my favorite things about being a REALTOR® is the opportunity to become acquainted with so many interesting people and help them realize their goals and attain them. I respect the fact that this isn’t like any other purchase, your home is where you live and raise your family. I am hardworking, honest, trustworthy and extremely organized both personally and professionally. I go above and beyond and strive to be exceptional. I live by the mantra, ‘Always treat others the way you wish to be treated’. I recognize that every individual is different and has different needs and whatever they are I am committed in helping you achieve your real estate goal from start to finish. Give me a call I look forward to connecting with you! Thank you for stopping by. For over 20 years I've specialized in the sales of Golf Communities, Luxury Housing, Single family Homes, Town Homes and Condos. I work with Banks, Builders and residential home buyers and sellers, making sure everyone meets their goals. I sell homes in Market Common, Grande Dunes and Barefoot Landing. As a Realtor, I take my commitment to clients seriously. It seems customer service is too often a thing of the past. But I’m anxious to prove that’s not the case at all! My primary goal as a real estate professional has always been to treat each and every client just as I would my dearest friend or closest family member. Whether you’re buying or selling, you deserve nothing less than that level of respect and dedication. I fully understand how important my accessibility is as well. As a client, you’ll quickly realize there’s never a bad time to call. When you have a need, I’m here to help. It’s just that simple. So if you’re looking to buy or sell residential real estate anywhere in the general Myrtle Beach area, call me. I’d love to hear from you anytime! Originally from Camden, South Carolina I moved to Myrtle Beach in 1995. 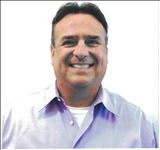 With over 25 years of experience in real estate, advertising, and home remodeling. Licensed South Carolina and North Carolina realtor with a ABR designation. Trained in short sales and Bank Owned Properties. I currently hold a South Carolina Residential Builders License. There are many qualities and skills that go into being an excellent real estate agent. Professionalism, integrity, knowledge of market & neighborhoods, and effective marketing and negotiating skills. As a Myrtle Beach Realtor, I strive to provide the very best service by essentially putting my clients first. This means keeping myself accessible, being a good listener as well as communicator, and responding quickly to your needs. If your thinking of buying or selling property along The Grand Strand and surrounding areas, please contact me. Originally from the small town of Kingstree, South Carolina, I grew up just like most of the visitors of Myrtle Beach. I was able to visit the area a few times throughout the year, and dream of growing up and one day owning a home on the Grand Strand. During my teenage years I convinced my parents to let me live at the beach while working for local restaurants and hotels. I lived with friends in Socastee, Surfside, Murrells Inlet, Litchfield, and any other home that allowed me to lay my head so long as I could be a part of the local scene. I graduated from the University of South of South Carolina with a bachelor’s degree in Hotel, Restaurant, & Tourism Management. Throughout my service based career I have lived and worked in Gainesville Florida, Washington D.C., Baltimore Maryland, Fairfax Virginia, Charleston South Carolina and Atlanta Georgia. My passion for providing excellent service originated along the Grand Strand and it has brought me back to my roots. I am humbled by the opportunity to now help others realize this same dream of coastal living. As a native, I am keenly aware of the many different housing markets available in the region, and what each community has to offer its residents. While relocating mysef numerous times, I can sympathize with all of the stresses that come along with selling your current home or finding your new one. I have been fortunate enough to travel to over twenty countries including Europe, parts of the South Pacific, and Asia. My travel history along with my professional international experiences allows me to effectively communicate and work for clients from any background or culture. I grew up in the Palmetto State and I bring the friendly service you expect when living in South Carolina. I believe in doing more than what is expected, treating everyone with respect and making my community proud. Real estate is my job, but helping create a positive, stress free and rewarding experience is my passion. My husband, Frank, and I are a Real Estate team in the Grand Strand area of SC. I have been in the Real Estate industry since 2006 and Frank has been since 2001. We have a son, Hudson, who is our "why". Our main business goal is to provide our clients with the top customer service, knowledge, marketing and negotiation skills. We are truly client focused. This is why our clients keep coming back to us and referring their friends to us. Let us show you why we are the best choice to meet your needs.